Ann Lavin, clarinetist, performs with the San Francisco Opera, Opera San Jose, San Jose Chamber Orchestra, the Santa Rosa Symphony, California Symphony, Sacramento Symphony, and has performed with the San Francisco Symphony, San Francisco Ballet, Earplay, West Edge Opera, and many other Bay Area ensembles. 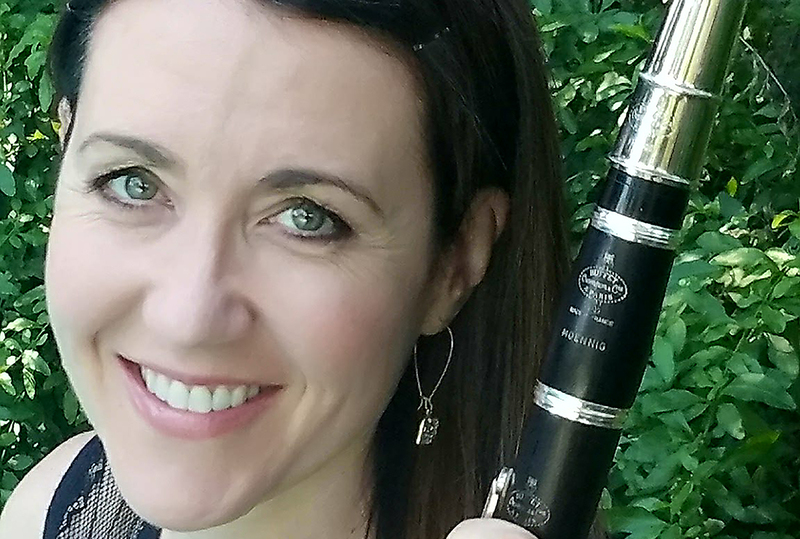 She played principal clarinet with the Sarasota Opera for five seasons and principal clarinet with the Utah Festival Opera for twelve summers. She has recorded video game sessions at the Skywalker Ranch and was a two‐year participant of the San Francisco Symphony’s educational outreach program: AIM (Adventures in Music). She has performed at festivals in Israel, Austria, Japan, Taiwan, Russia, China, and was twice a member of the Spoleto Festival in Italy. Other festival appearances include: Mendocino Music Festival; Carmel Bach Festival; Sebago‐Long Lake in Maine; Tanglewood. Her principal teachers were Larry Combs, Charles Neidich, Robert Marcellus, and Daniel Gilbert. She attended DePaul University, Northwestern University and obtained her Doctor of Musical Arts from Stony Brook University.